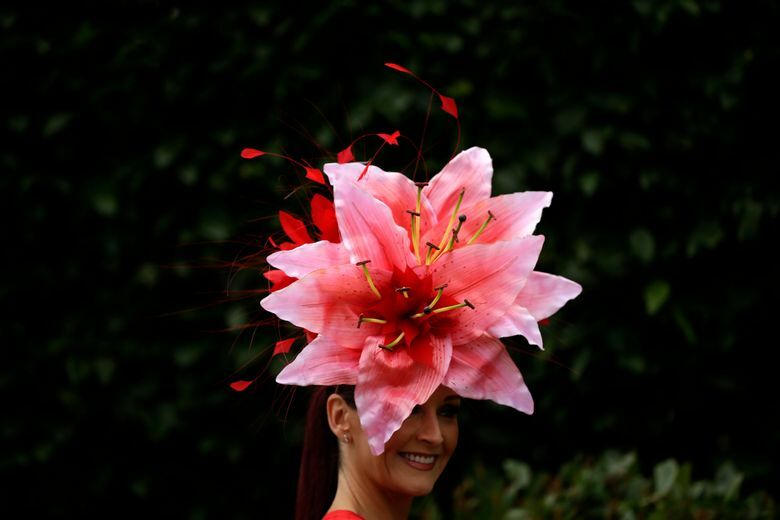 Time for the annual hat parade! 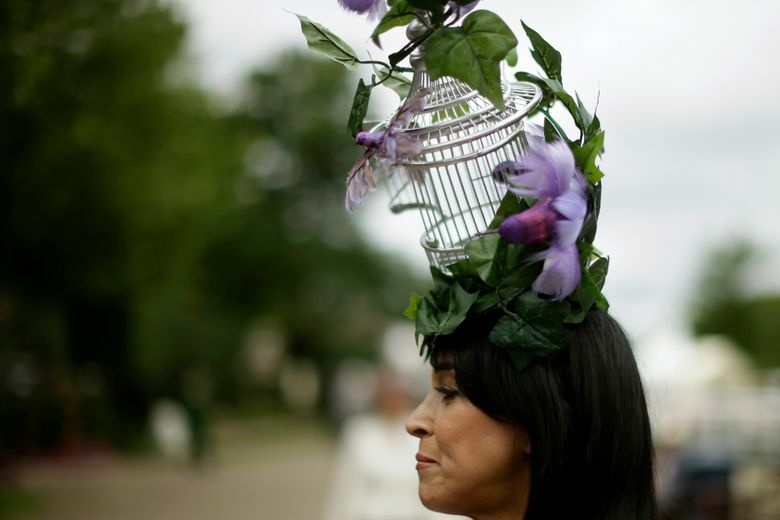 Lewis Carroll’s Mad Hatter would have been happy at Royal Ascot last week, an annual British event (held in Berkshire, just west of London) that celebrates horse racing, summertime and the art of the whimsical hat. 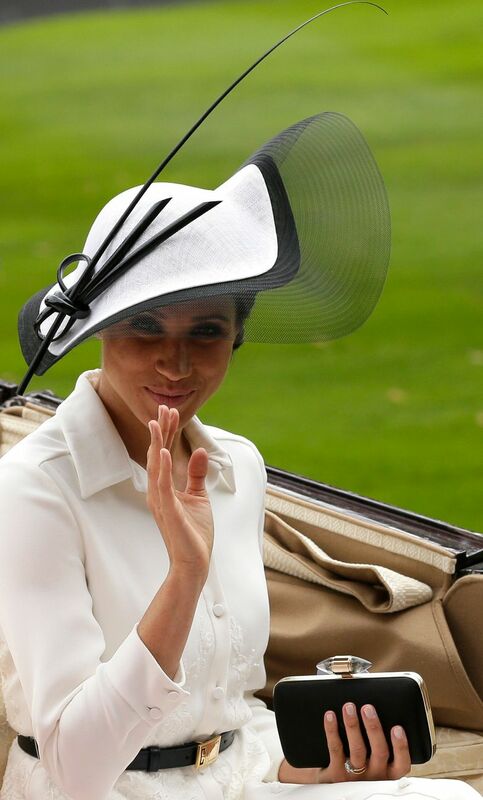 The newly minted Duchess of Sussex (aka Meghan Markle) made her Ascot debut in a dramatic swoop-and-plume creation. 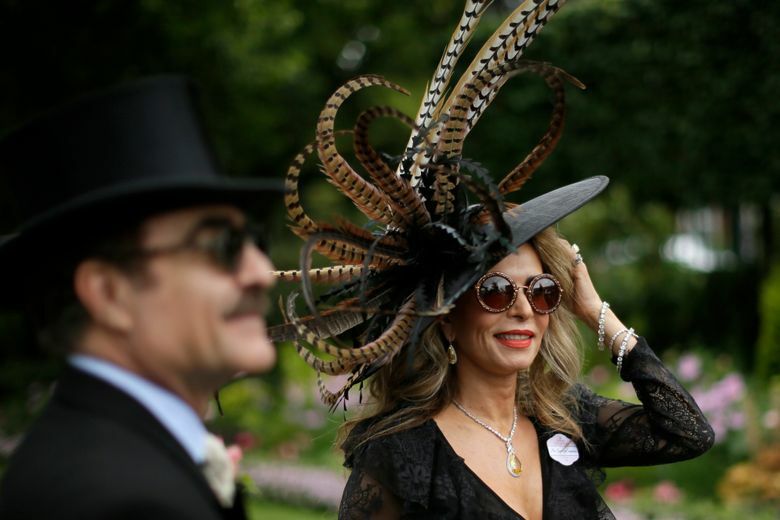 Others were more daring: an enormous, multipetaled pink blossom; a perilously perched birdcage wrapped in ivy; a theatrical, exuberant explosion of feathers. 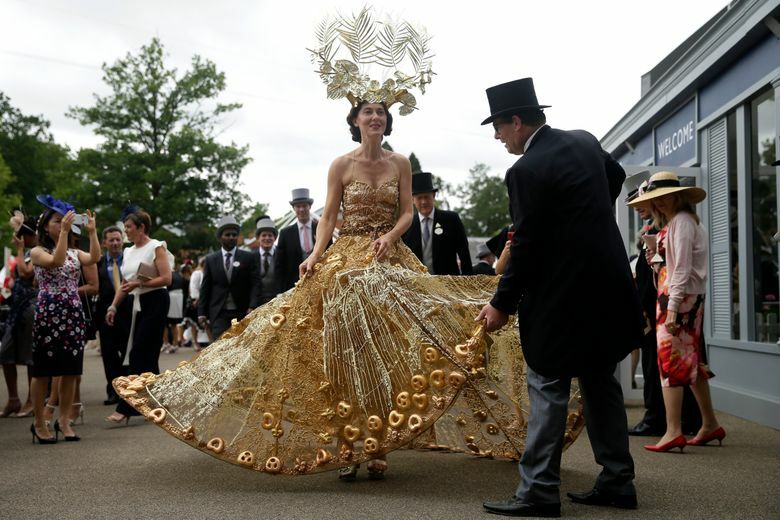 And one woman clearly embraced go-big-or-go-home, in a golden gown topped with an airy metallic sculpture of leaves and birds. I’m assuming she didn’t arrive by train.